Personal Growth is the secret to success not just in Network Marketing but in life itself. When there is growth, there is fruit. If a tomato plant grew for a month or two and then stopped growing, it would not produce any tomatoes. In other words, no fruit would be produced. Likewise, if one stops growing, then they will no longer produce any fruit. Therefore, we must commit to personal growth in order to become successful and to touch the lives of other people. So, plan now to continue your personal growth by reading self-help books, such as “How to Win Friends and Influence People”, by Dale Carnegie, “The Magic of Thinking BIG”, By Dr. David Schwartz, and dozens of similar books in the same category. You can grow by listening to the audio seminar by Zig Ziglar, Jim Rohn, Earl Nightingale, and top leaders in your company. The important thing is to commit to reading and listening to self help material and attending any and all company events. Discipline yourself to read a chapter of a book every day. Or a read for 30 minutes every evening. In 30 days, this will become a habit and you will do it automatically for the rest of your life. Download motivational audios of great inspirational teachers and listen to them while driving in your automobile. You can get the equivalent of a semester in college by listening to audios while driving to and from work every day. This too will also become a habit in 30 days, and you will no longer desire to listen to the news while driving. Choices have consequences. Choose not to read or listen to audios and your life will be the same as it is right now. Choose to listen to an audio every day and read a self-help book for 30 minutes every day and your life with change starting almost immediately. You will feel empowered. Your life will transform from where it is and who you are now into whatever you desire it to be. 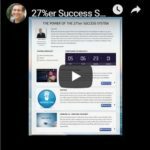 Become a 27 percenter and start growing immediately with daily training designed to help you grow and then use that knowledge to transform your business and become as successful as you set your mind to become. It is a process, it is a lifestyle, it is a lifelong journey. Start your journey today. 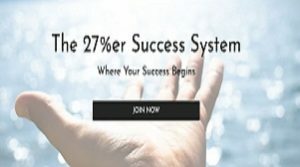 Paul Morris is a top network marketer, teacher, sales trainer, International speaker, mentor, and certified life coach, who has been building marketing organizations for the last 50 years. He is known as the mentor’s mentor. He is a former Amway Executive Diamond and has been #1 in the nation with several network marketing companies. Paul has used the principles taught in his seminars to build several organizations to more than fifty thousand and one hundred thousand and 500,000 distributor/customers. Paul has held monthly volumes in his downline organization alone of more than 15 million dollars per month. 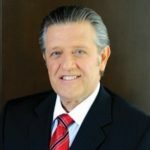 Paul currently is one of the owners of an International Direct Sales company with offices in Japan, Taiwan, Hong Kong, Malaysia, and the US. The company is in its eleventh year and just had it best month with monthly sales in excess of $5,000,000.00 USD. 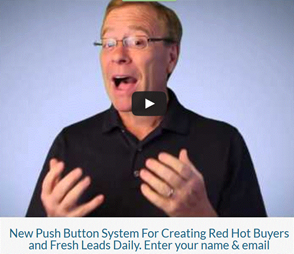 Simultaneously Paul has built another sales team doing in excess of one million in sales volume per month. Paul has traveled extensively, lecturing, teaching, and training, in twelve countries Many people ‘practice what they preach,’ but it is said of Paul, that Paul ‘preaches what he practices’ and has practiced his entire life. Paul can be reached at 954 806-3097 or via email at paulmorrisyl@gmail.com Paul’s hobby is growing organic vegetables in his own back yard. 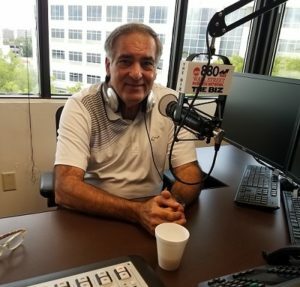 He encourages people to “grow what they eat and eat what they grow.” On the social/spiritual side of life – Paul has spent much of his free time in Scouting, Jail and Prison Ministry and other outreach ministries. He is happily married and the father of three children and has seven grandchildren. Whether it is a group of 14 in a living room or a crowd of 14,000 in an auditorium, Paul is sure to have them laughing, crying, and ultimately motivated and inspired to become all of that which they are capable of becoming. Paul’s philosophy is that success in this industry is not measured by the dollars you earned but rather by the lives you have touched and influenced in a positive way.